As there doesn’t seem to be an end to winter in sight in the near future, our need for hearty and hot comfort food just went up a notch. For the past few weeks, the Culiniste team has been serving up some of our favourite soups from ramen with sirloin steaks to a creamy leek and potato chowder. But what classifies a soup as just an appetizer or as a main course? Appetites come in all sizes but for the majority a heavy stew or chowder eats likes a meal. 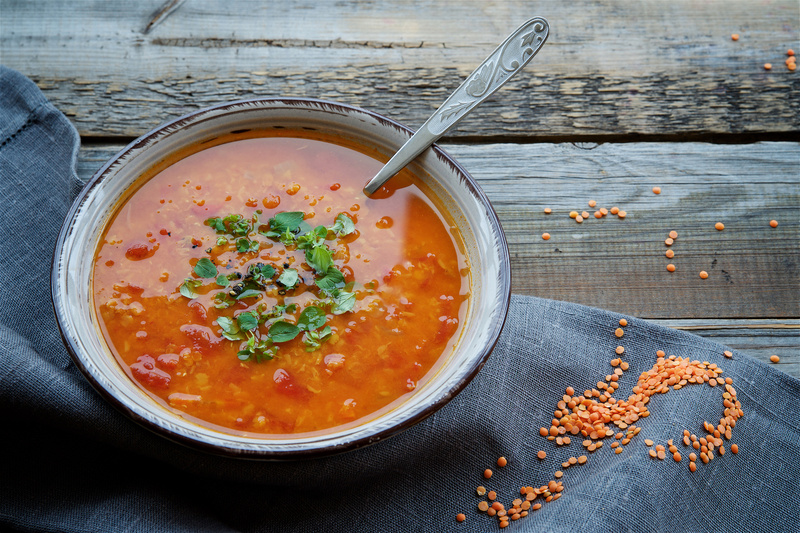 Here we uncover everyday soup lingo to help you better understand what your bowl will look like, and consequently the rest of your dinner. Broth – is the liquid that is left over after meat, seafood or vegetables have been cooked in water. Typically used as the base of a soup. Bouillon – the same thing as a broth, sometimes in the form of a powder cube. Stock – is like the grandfather of broths as it is cooked longer and more slowly to extract the most flavour possible. It is most often used as an ingredient within a soup recipe. Consomme – a clarified or finished version of stock that is often served on its own. Purées – vegetables that are cooked in stock or broth and then blended. Usually served as a starter, rather than a meal. Bisque – rich and creamy and typically made from pureed shellfish (think lobster bisque). Wine and cream is added to give it its creamy texture. Chowder – thick and chunky, this soup includes pieces of vegetables, seafood or meat. Potatoes and milk or cream are added to thicken the base. Stew – less liquid than meat and vegetables remains after this soup simmers for hours. Additional thickness comes from flour or a mixture of flour and butter (a roux). With so many choices and consistencies, soup can be on the menu everyday of the week this winter. Keep an eye on Culiniste’s recipes to see which of your soup skills can be honed next.